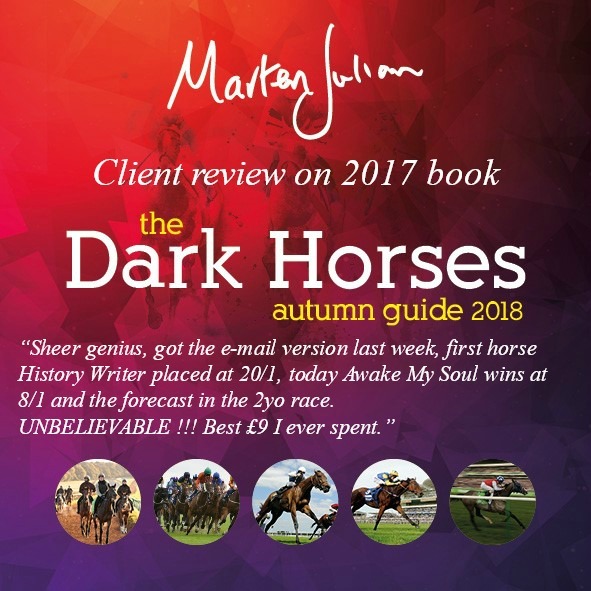 No publication of Marten Julian’s has ever made such a profitable start as the 2018 Dark Horses Autumn Guide. 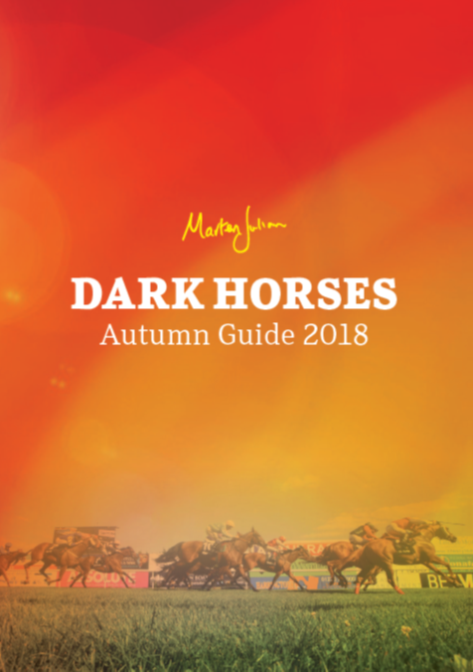 Following the success of last year’s edition Marten has again written a Dark Horses Autumn Guide, packed with information and pedigree profiles of dozens of unraced or lightly-raced two-year-olds and a handful of older horses that have been specially prepared for autumn campaigns. 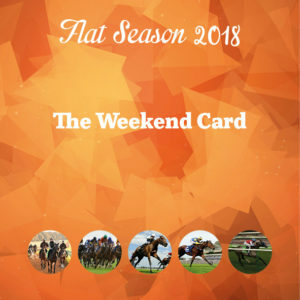 The book includes two-year-olds and handicappers from both high and lower-profile yards, both in the UK and Ireland, and should prove an invaluable source of reference and profit for the closing weeks of the season and next year. 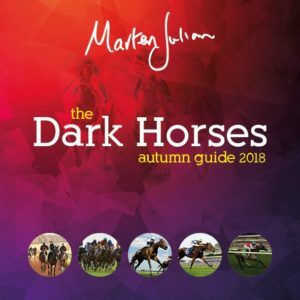 It also includes Marten’s updated news and information about the Premier List and Dark Handicapper qualifiers from the Dark Horses Annual. 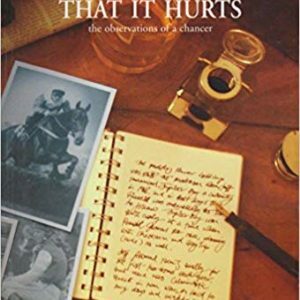 1) A three-year-old staying handicapper rated in the 60s that Marten believes has the potential to improve 20lb. 2) A two-year-old from a very low-profile yard that is rated the best the trainer has ever had. 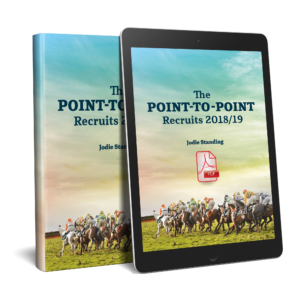 3) A two-year-old from a top yard already earmarked as a live 2,000 Guineas contender. 4) A couple of promising two-year-old fillies in the yard of one of Ireland’s top trainers. 5) A five-year-old handicapper primed to start winning again after two years without success. 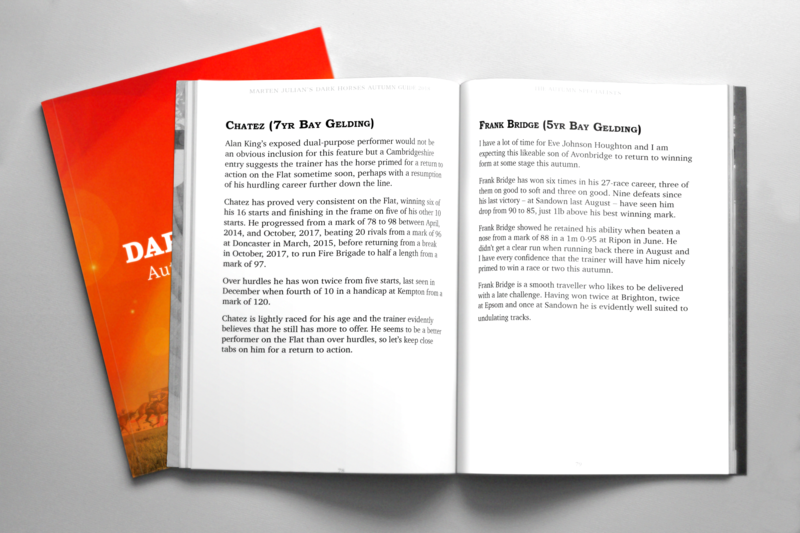 6) A dual-purpose horse which has been brought back for an autumn campaign on the Flat. 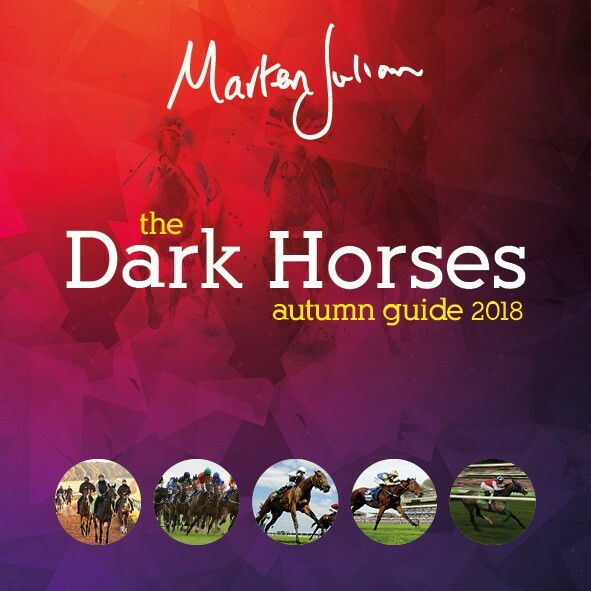 The Dark Horses Autumn Guide should provide a rich source of interest and, Marten hopes, profit for the closing weeks of the season. 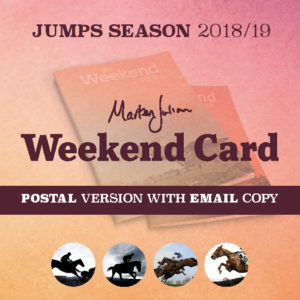 Emailed to Marten on 29 October from Keith: "I'd almost put the Dark Horses Autumn Guide into winter quarters, to be superseded by your Dark Horses Jumps Guide, but I'm very glad I didn't. Another feather in your cap with today's lovely 20-1 winner"